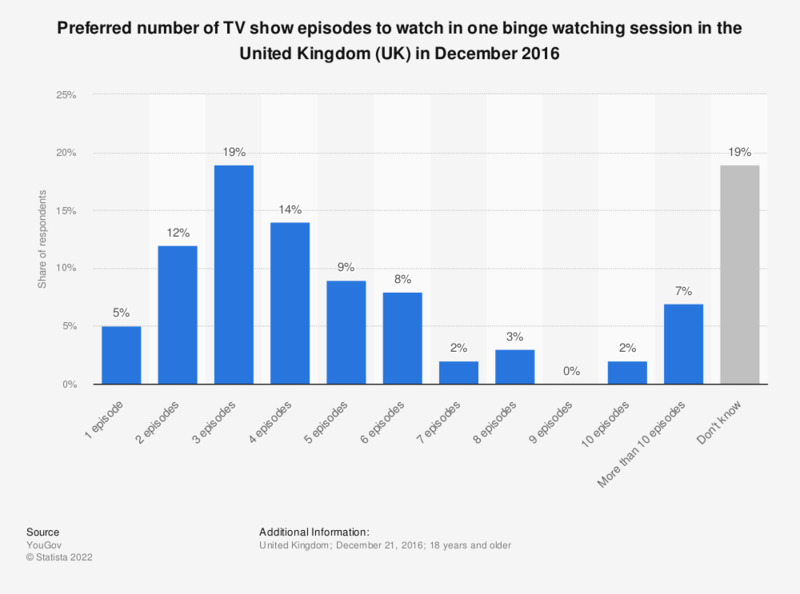 This statistic shows the results of a survey on TV show binge watching habits in the United Kingdom (UK) as of December 2016. Respondents were asked how many episodes of a TV box set that they loved they could watch in one sitting while still enjoying it. The survey found that 19 percent of respondents stated that watching three hour-long episodes of the same television show was the maximum number they could watch in succession without losing interest. This question was phrased by the source as follows: "On a lighter note... if you had a TV 'box set' and you were loving it, and had a free day, how many one-hour episodes could you watch in succession (and still enjoy)?" Results are weighted to be representative of the GB population. In the last week, which type of programs have you watched either live, recorded or streamed more than once?